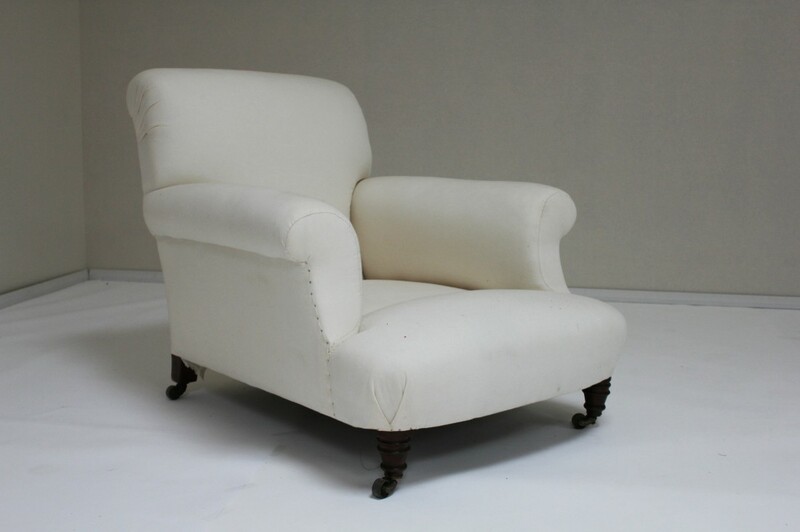 A large 19th Century gentleman’s club armchair with very deep seat. Scroll arm and back give this chair generous proportions. 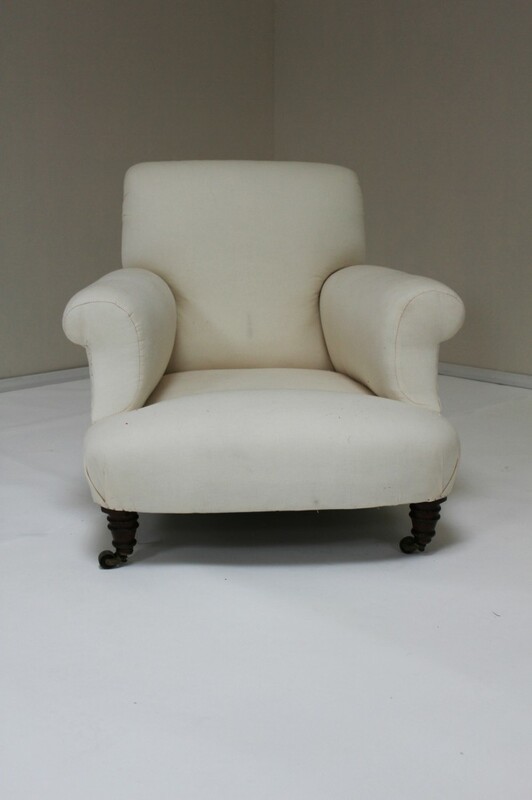 The Chair has ring turned Mahogany legs with original castors. 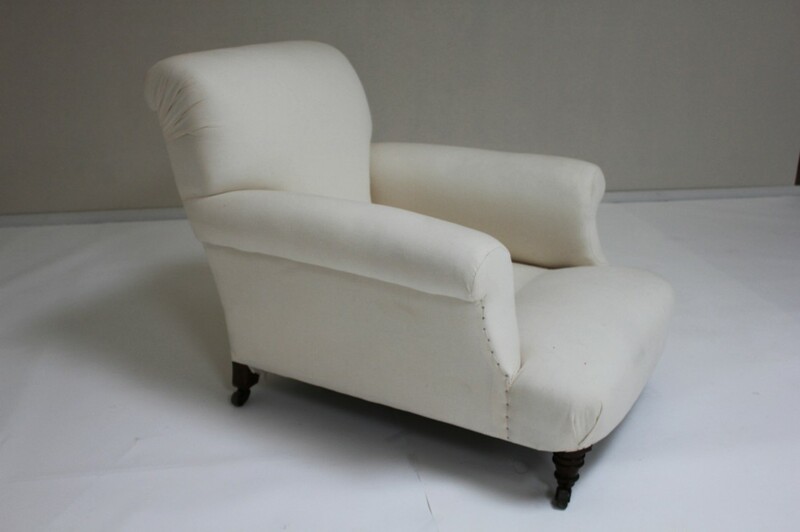 The chair is shown without a fitted chambered feather and down cushions which we will make to size depending upon the height the client would like to sit at. This can either be softly filled or be firmer. We are also able to make a modern filling cushion if you would prefer a maintenance free cushion. The price includes the cost of applying the top cover of your choice. You will require 6 metres of plain fabric or 7 metres of patterned fabric. You can supply your own fabric or we have over 20,000 fabrics from all the major fabric houses and we can sample a selection for you. To ask a question about the Victorian Gentleman’s Armchair click here. We'll email you the answer as soon as possible. If you have a question about the Victorian Gentleman’s Armchair, fill in the form below and we'll email you the answer as soon as possible.